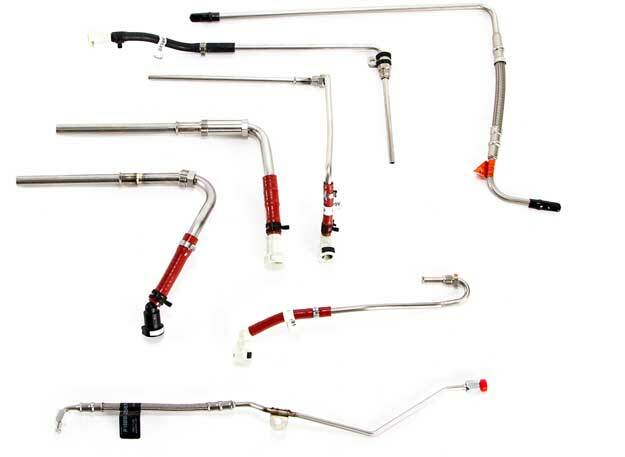 Troy Tube supplies complete custom hose assemblies for OEM and aftermarket customers, providing flexible solutions to routing and assembly issues that may arise from rigid tube products. Merging our expertise in tube bending with with the ability to provide completed hose assemblies solutions allows us to become a strategic single source supplier of tubular products. We have in house capabilities for high volume dedicated production as well as dedicated partners for low or prototype volumes. Along with assembly, we have complete pressure decay testing and cleaning capabilities to ensure our parts meet strict SAE, DIN and MIL-SPEC standards.